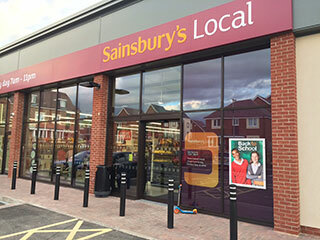 In August 2015, the eagerly anticipated Sainsbury’s Local opened for business in Malvern Vale, Worcestershire. Heming Services was appointed by the Hinton Group to undertake the 370 square meter, £500k store construction which started in February. Two further projects with a total build cost of around £2m are currently being discussed between the two companies.